Probably the most rewarding part of venture investing is tackling difficult problems with great people (and then succeeding…). Devoted Health is a textbook case. An enormously important, yet hugely complex challenge – redesigning health care to be higher quality, more affordable, and delightful for those in great need — with a team of people so well prepared and talented that they have the possibility of succeeding. It is undeniable that brothers Ed and Todd Park are uniquely capable entrepreneurs, combining distinctive healthcare knowledge, technology skills, inspirational leadership and impeccable values, with a determination to succeed. At this point in our relationship, any project in which they are interested, we are too. How did we get there? It begins with the founding of Athenahealth, where Ed and Todd, as early 20-somethings, were, respectively, the initial engineering and business leadership, along with Jonathan Bush, of this groundbreaking health care IT business. Bryan led their early institutional funding round and, after 10 years on the Board of Directors, then co-founded another pioneering effort in the space with Todd and Giovanni Colella, Castlight Health. Ed broadened from Chief Software Architect to COO at Athenahealth, while Todd became CTO of the United States in the Obama Administration. Bob entered the fray when he was working at the White House and collaborated closely with Todd to liberate information across health care, subsequently joining Venrock in 2011. Working together to surmount many disparate challenges across these various situations over the last 20 years created a foundation of unshakable trust. In fact, “Would you trust them with your life?” was a criterion used to evaluate potential hires early in Devoted’s life. Devoted is also deeply rooted in purpose. It is the offspring of once-in-a-generation changes in incentives driving how America pays for healthcare (the transition from fee for service to value-based care), coupled with quantum improvements in information availability and technology. The need on which Devoted is focused is encapsulated by Dr. Atul Gawande’s observation that “the best care in the world costs less than the typical care patients receive in America.” Devoted was conceived to reliably and scalably deliver this better care at lower cost, getting people the right care in the right place at the right time. Our belief is that it is necessary to build a “full stack” solution to deliver on the promise of better care at lower cost, at scale – not a point solution. Scaling the advent of exceptional primary care-driven health care across the country requires the ability to deliver optimally on incentive alignment and information flows – we therefore decided to build a next-generation Medicare Advantage health insurance plan and our own new core software from scratch to do exactly that. We also decided early on that it is better to partner with primary care doctors as opposed to acquiring them or attempting to deliver all of the care ourselves. Finally, listening carefully to top primary care physicians, we decided to build care services designed to complement what they do, starting with Devoted health guides who help our members navigate the health care system and a Devoted house-call medical group that can deliver care at home to members at risk and in need. 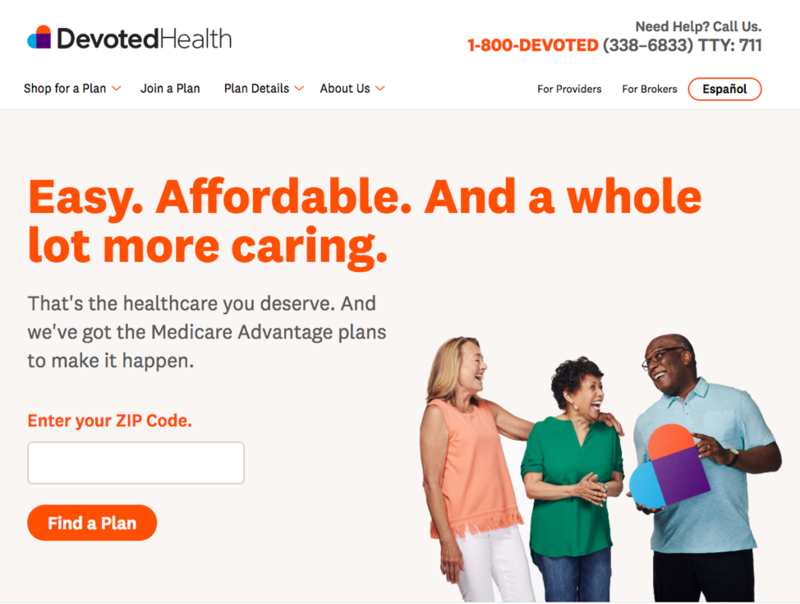 Devoted is therefore a “payvidor” – a payor/health insurance plan, combined with a suite of provider support services to improve care and outcomes. Devoted’s aspiration is to become the “go to” payor and care partner for exceptional primary care physicians, delivering better data faster and seamlessly into provider workflows and IT systems, simplifying administrative processes and making them happen invisibly in the background, listening to primary care physicians about what they wished they had to better care for their patients, and providing a growing array of care services that meet the needs that our primary care physician partners articulate. We’ve also set out to build a member experience that emulates the best consumer experiences and honors every member as if they were our own mother or father. By building confidence with members, Devoted hopes to be entrusted to help them navigate care when they get sick. Over the last 18 months, the Devoted team has made amazing progress, converting our concepts into an initial business, now over 150 employees strong. Bob has served as Devoted’s founding Chief Medical Officer, building the clinical strategy and team. And yesterday, Devoted began enrolling our first members in eight counties in Florida, partnered with a network of primary care doctors, specialists, and hospitals to which we would be proud to send a loved one for care. 2019 will be a year of tremendous growth and learning for Devoted, and we are thrilled to be partners with Ed and Todd on this audacious journey.